BURST Give Away Competition for playing Minecraft - Round 2! - Winner takes All. Sponsors/Donors Needed! 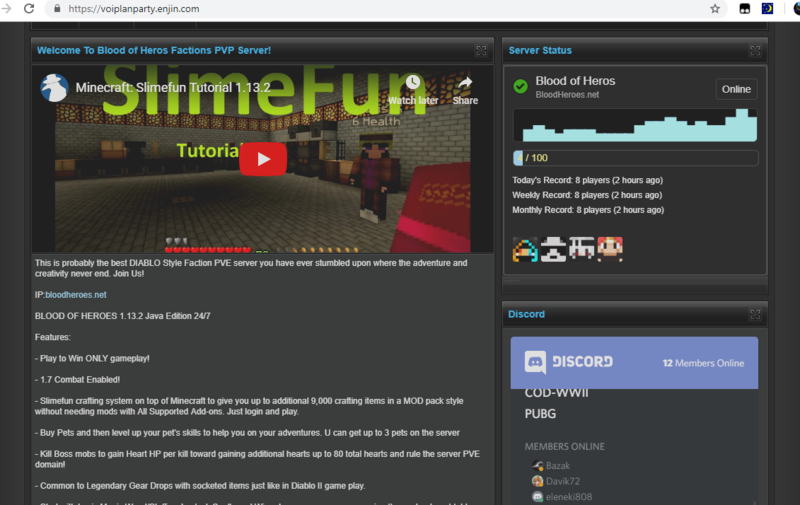 It is my pleasure to announce a second Minecraft BURST Give Away competition where the first player to reach McMMO Power Level 10,000 will receive the entire balance of BURST-V68U-9FKU-PAYM-E9RFF https://explore.burst.cryptoguru.org/account/14318886307532476634. If you would like to donate to this competition please send BURST to this address. what your power level looks like. 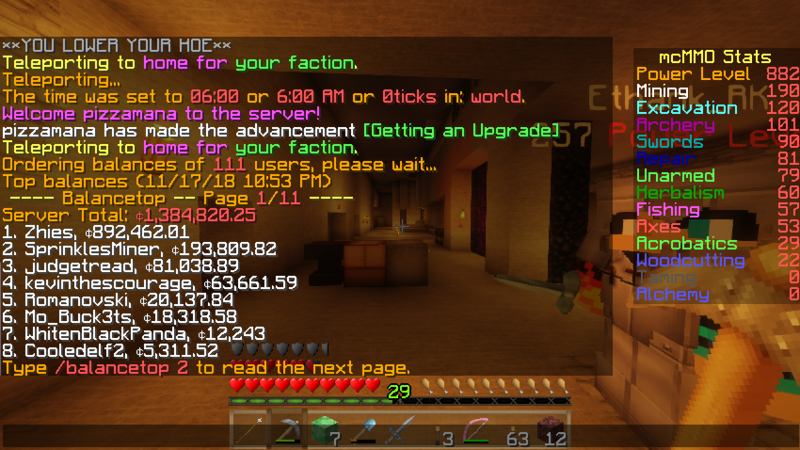 Its the total of all your McMMO stats. The purpose of this competition is to promote BURST development as a in-game currency ecosystem that will be implemented on this Minecraft server sometime during the competition with the ability for players to mine actual BURST COINS in-game by breaking Diamond Ores. Players will then be able to receive a daily payout of mined coins to desired BURST account as long as they reach the minimum payout threshold. The server will use this plugin currently being developed by Judgetread to manage in-game BURST wallets, economy, payouts, in-game shops and mining BURST difficulty algorithms for payout system, etc. Please support him by sending donation separately to his BURST wallet for some motivation on this project to BURST-JFQG-9DZX-4U9J-54YKP. Pictures of the prototype plugin will be posted here throughout the progress of this project. Minecraft is played by millions of players around the world and this is the first time you can earn crypto currency by mining in game. There are currently a lot of minecraft servers and by building this plugin Minecraft servers will be able to easily join the BURST network. Server owners will be able to use BURST as in-game currency for micro-transaction, skins and special item shop and even as a currency exchange platform in the future. Player must PM me in VLP discord link located at https://voiplanparty.com (click the discord button on navigation bar) with their in-game name and Burst address to send funds to if they win. Players will not use any duplication glitches or any type of exploits on the client or server side. If you find a bug report it to me ASAP. If you are found using any exploit you will disqualify from the competition and will be permanently banned from the Server. Players must follow all in-game rules that can be found at https://voiplanparty.enjin.com or by typing /rules in-game. If player wins the competition you must PM me a screenshot of /mctop command in-game if I don't see it first. RE: 10010 Burst give away for playing Minecraft! Thank you all for playing. Will try to do this more often! MadHatter just sent 10 Burst. Now we at 10010. Thanks @haitch . I updated all the posts. Due to a 1000 BURST donation the give away is now at 5000. Note on the minecraft server type /sell hand to sell items for ingame currency.